Are you interested in volunteering, hosting a workshop or having a vendor’s table next year? 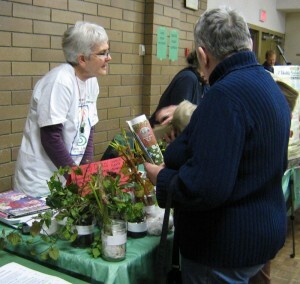 Seedy Saturday is a day of seed swapping and information sharing for community groups, gardeners and farmers. The idea behind this event is to promote regional food self-sufficiency by growing a community network of growers and seed savers. Participants save their best seeds from varieties of fruits, vegetables, herbs, flowers, shrubs and trees that thrive in the local environment. 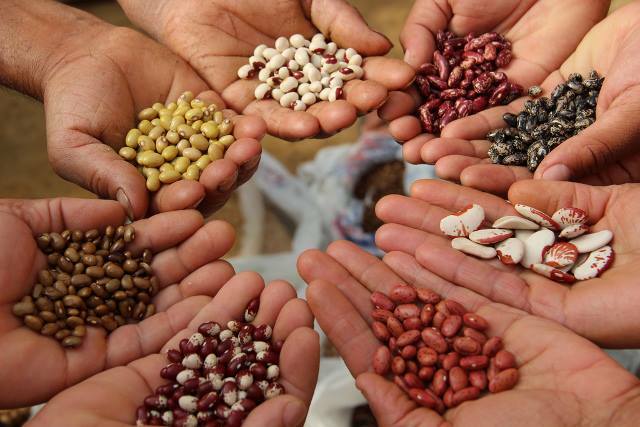 By exchanging these seeds within the community, both the quality and quantity of affordable seeds rises for everyone. Informed seed-saving also assists in maintaining regional bio-diversity and our agricultural heritage. Reliable, high-quality sources of seeds should not be taken for granted. Much of the flower and vegetable seed sold in Canada is grown elsewhere in the world. Crop failures happen. International political and economic troubles disrupt global supply and distribution of food and seed. Bio-engineering-corporations like Monsanto increasingly control global producers of significant food crops, like corn, canola and soya beans. Prices for vegetable seeds continue to rise. 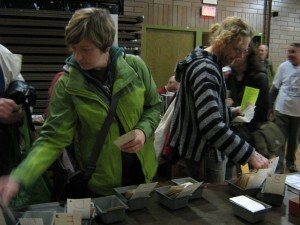 At Seedy Saturday, people swap their packaged seeds for other people’s seeds. If you are new to seed saving, and don’t have seeds to swap, hundreds of local seed packets donated by local growers are sold for $1 a package. (limit 10 packages) Gardening and farming books or magazines are also exchanged at the swap. Garden-related workshops are held throughout the event. Community information tables manned by dozens of enthusiastic volunteers offer useful tips and guidance on topics like market gardening, permaculture, composting, and bee-keeping. The event has also expanded into the sale of locally (B.C.) grown seeds, fertilizers and garden-related products by vendors in the Upper Hallway of the Recreation Complex. This family friendly event includes a children’s activity corner and a Seedy Cafe, as well as a popular Silent Auction.